People are chomping at the proverbial bit for consistently good weather to arrive in these parts. This weekend, the unofficial beginning of summer, promises to disappoint, with grey, chilly days in the forecast yet again. 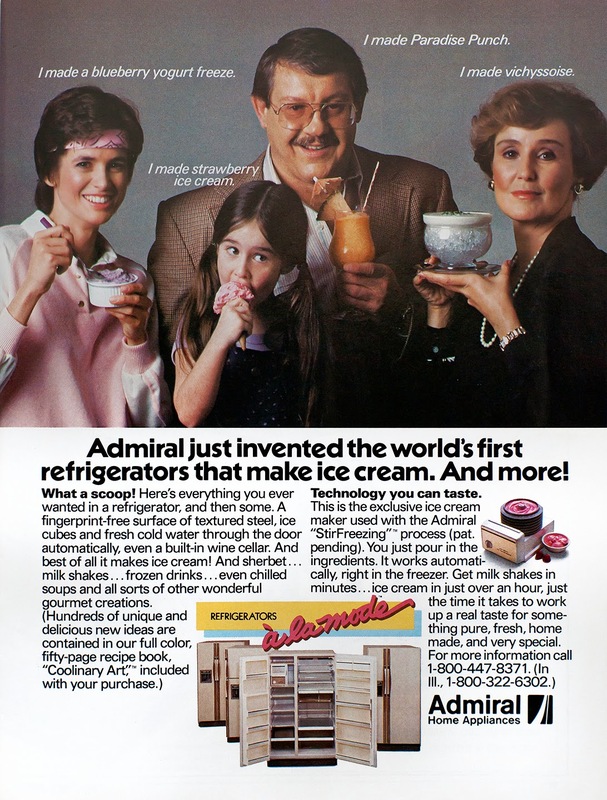 But this 1984 refrigerator, with its capacity to automatically produce such cooling and certainly diverse favorites as ice cream, vichyssoise, and the temptingly-titled Paradise Punch, allows us to pretend that warm, sunny times are at least possible.